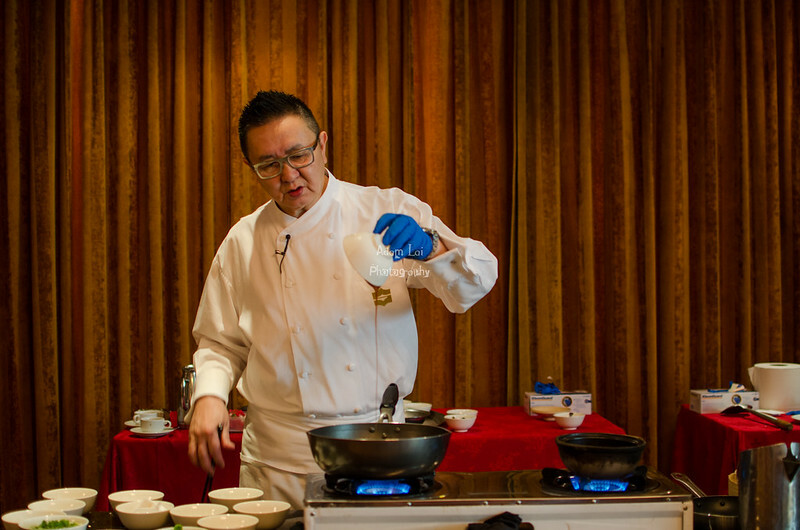 Kota Kinabalu, August 2015 – Renowned chef Dr. Eddie Liu is in Kota Kinabalu for a two-week Taiwanese food promotion from August 7 to 21, 2015 at Shangri-La’s Tanjung Aru Resort & Spa. 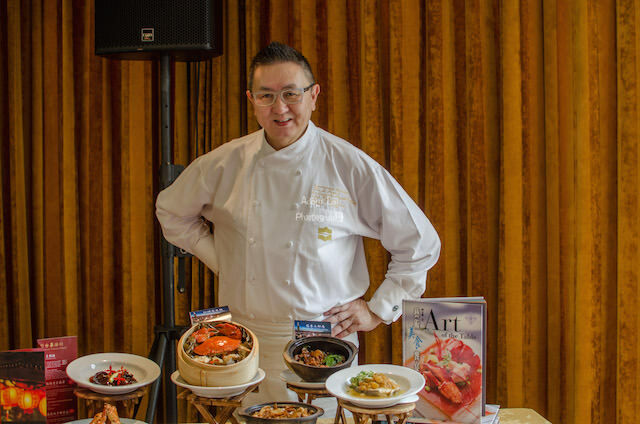 The food promotion will feature culinary creations by Liu, who is also the Director of Culinary Arts of Shangri-La’s Far Eastern Plaza Hotel in Taipei. Guests will have the opportunity to meet Liu in person and wine dinners, cooking demonstrations and other promotions in the resort’s Café TATU and Shang Palace. Hong Kong-born Liu was a Hong Kong movie producer in the early 1980s. He made a radical change in his career in 1983 when he was given the opportunity to learn from experienced chefs at a famous Macau restaurant, Sai Nam. With 40 years of culinary experience under his belt today, he promotes Taiwanese cuisines to international audiences by traveling worldwide and has cooked for renowned personalities like former US President Bill Clinton and Douglas Hsu, one of Taiwan’s richest man. 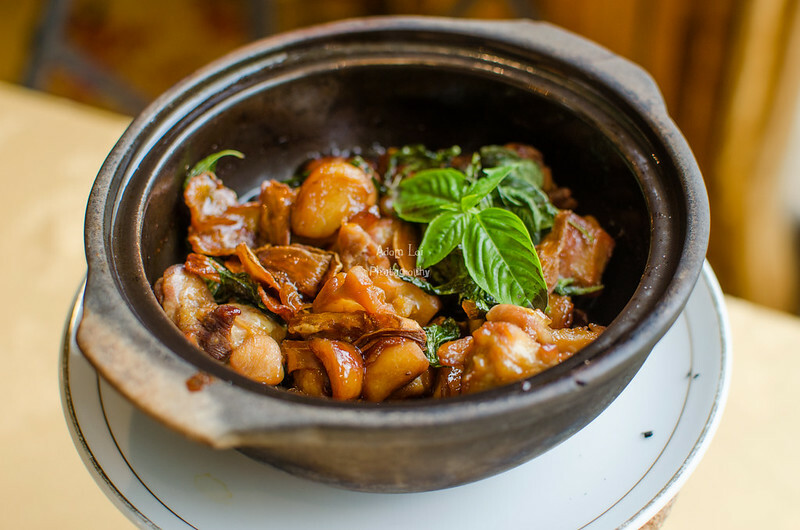 Shang Palace will hold three cooking demonstrations priced at RM88nett per person. During the course, diners can engage with Liu and receive a copy of the cooking class recipe book. The first 20 guests to register will walk home with a copy of Liu’s cookbook (worth RM50). There will be three sessions of cooking demonstration throughout this Taiwanese promotion on 8, 9, and 16 August 2015. Shang Palace’s “Discover Taiwan” Charity Wine Dinner and Auction on 14 August 2015 is priced at RM199nett per person. During the course of the evening, diners can expect to enjoy a 7-course set menu dinner with wine pairing. On 20 August 2015, a day popularly known as the Chinese Valentine’s Day, Liu will cook an 8-course dinner of rich, decadent dishes and romantic desserts paired with wine for the “Qi Pao Night”. This dinner is priced at RM268nett per person, inclusive of free-flow of selected wine and juices. Patrons can choose RM199nett per person, excluding beverages. During this two-week long promotional period, Café TATU’s daily dinner buffet spread will showcase various kinds of food representing Taiwan. Meanwhile, guests who dine in Shang Palace can choose from three options: Chef Liu’s authentic Taiwanese set menus, the Taiwanese promotion’s a la carte items or the restaurant’s existing a la carte menu. Guests attending the “Discover Taiwan” charity wine and auction dinner and the “Qi Pao Night” will stand a chance to win a holiday to Taipei. The lucky winner will walk away with a 3 days/2 nights stay at Shangri-La’s Far Eastern Plaza Hotel and two Malaysia Airlines tickets from Kota Kinabalu to Taipei. Liu has 40 years of culinary experience under his belt and is decorated with numerous honorary titles from gourmet associations and societies worldwide. He promotes gourmet Taiwanese cuisine to international audiences by travelling worldwide often and sets food trends in the city. He has cooked for renowned personalities like former US President Bill Clinton and regularly cooks for Taiwan’s 33rd richest man, Douglas Hsu. Hong Kong-born Liu was an actor and a film producer in the early 1980s. He made a radical change in career in 1983 when he was given an opportunity to learn from experienced chefs at a famous Macau restaurant, Sai Nam. After four years of solid training for 16 hours per day in the kitchen, Liu returned to Hong Kong to manage Spring Moon Cantonese restaurant, located on the first floor at The Peninsula, Hong Kong. The joining of the two work experience prepared Eddie well for his next adventure in Beijing, where he took on the job in the early 1990s to overlook all restaurants at the five-star Hotel Nikko New Century Beijing. Liu joined the Shangri-La’s Far Eastern Plaza Hotel, Taipei’s pre-opening team in 1993 and was appointed Assistant Director Food and Beverage. His responsibilities include food and beverage marketing, executive management and menu planning. Many food promotions organized by Liu received great media exposure and positive feedback. In 2006, for example, Liu invited Quanjude – one of the most well-known roasted duck restaurant chains in China – from Beijing for a promotion at Shang Palace Cantonese restaurant. The event not only brought good business to the hotel, it also initiated a “roasted duck trend” in the city; even local roasted duck restaurants benefited from it. Liu continuous to be recognized by many gourmet associations and has won many awards over the years. In October 2001, he was appointed Vice President of Commanderie des Cordons Bleu. A year later, Liu received the Star of Excellence recognition from the Chaine des Rotisseurs in Hong Kong. He is currently the Vice President of the Commanderie des Cordon Bleus de France. As seating is limited, interested parties are encouraged to make a reservation. They can call (60 88) 327 868 to make booking for any event.